The old building's coming down. Sad, but exciting, news today as The Riverside Crab House and Yardarm Lounge closes after over 50 years of magic and memories. The building, which overlooks the Homosassa River and includes the famous Monkey Bar, was heavily damaged by recent storms and it was decided to tear down and build again from the ground up. 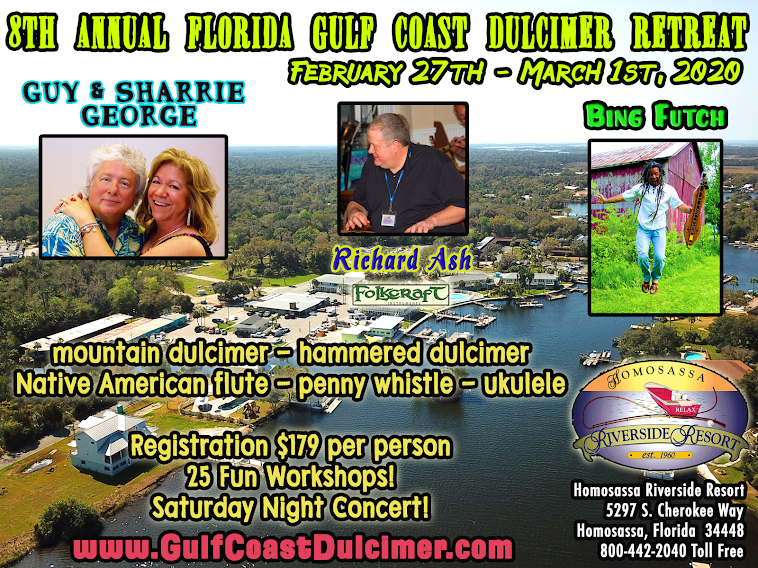 This doesn't effect the operation of the 6th Annual Florida Gulf Coast Dulcimer Retreat at all, but we will certainly miss being able to walk across the lane from the Manatee Ballroom and belly up to the bar or have a meal within view of Monkey Island. In the coming weeks, as we get closer to the retreat, I'll be posting at least once a day with places of note in the area with great food and drink. While we're sad that this old historic building has to go, we are excited about what phoenix will rise from the ashes and we'll be sure to get lots of photos of the progress. PRESS RELEASE THE YARDARM LOUNGE AND RIVERSIDE CRAB HOUSE IS COMING DOWN. The Yardarm Lounge, also known as The Riverside Crab House and The Monkey Bar, has celebrated 50 years on the Homosassa River. The iconic restaurant was opened by The Norris Development Company in 1967 and later purchased by the late Dave Stewart and Dr. Donald Vesley. It was most recently acquired by Riverside, LLC in 1998. 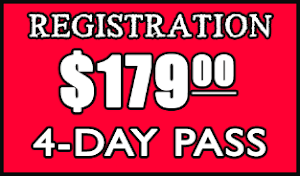 On Tuesday, January 30, 2018, the doors will close for the final time. Oakes said, “My partners and I made the decision to demolish a substantial portion of the damaged building and replace it with a smaller outdoor eatery with spectacular views of the Homosassa River and Monkey Island. The new venue will still feature our famous live blue crabs and seafood selections along with new and exciting additions.” The hotel, marina, boat rentals and banquet room will not be affected by this closure. 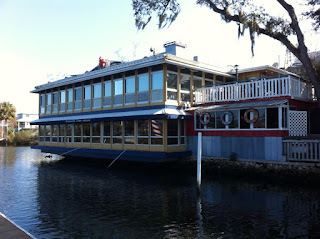 While Oakes admits that February is the “peak” season in the Homosassa restaurant business and unfortunate timing, she is hopeful that the busy season will make it possible for her displaced staff to find positions with other local restaurant owners who are staffing up for the return of winter guests to our area. 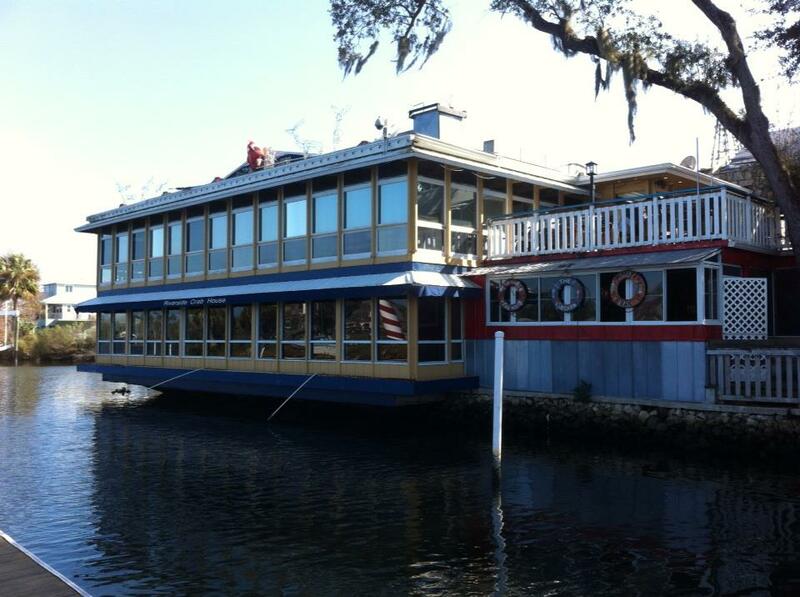 The Yardarm Lounge, Riverside Crab House and Monkey Bar are located at 5297 S. Cherokee Way, Homosassa, Florida, on the bank of the Homosassa River. For information regarding this story, please contact: Homosassa Riverside Resort, Gail Oakes gail@riversideresorts.com 352-628-2474.
lThanks for this helpful lesson. I can play a shuffle now! Thanks for the lesson. Please post more as I will check back.